The following guest blog post was written by Dr Gail Crowther, co-author with Elizabeth Sigmund of Sylvia Plath in Devon: A Year's Turning (2014). 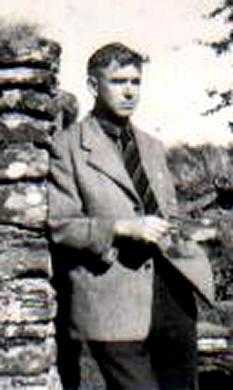 Gilbert Foster (1920-2000) was an academic and a poet. He was born in Dublin, Ireland and throughout his life lived in England, Australia and Canada. However, in 1961 when Sylvia Plath and Ted Hughes moved to Court Green in North Tawton, Devon, Gilbert and his wife Marian along with their three (soon to be four) children lived in a bungalow across the road near to Dr Hugh Webb's surgery. The Fosters feature frequently on Plath's Letts wall calendar from 1962. They all had tea together on Sunday 30 September, Sunday 25 November, and Sunday 2 December. On Monday 10 December when Plath finally left Court Green to return to London for the winter, she trusted the Fosters to look after her two kittens, Tiger-Pieker and Skunky- Bunks. Gilbert would walk across to Court Green, in the snow, every day, often with his eldest son, to feed the cats and he continued to do this for months. 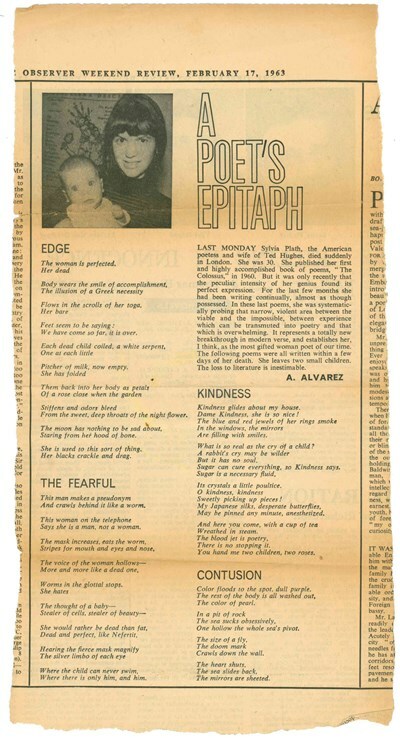 Like most people outside of London in 1963, the Fosters read about Plath's death in a piece written by Al Alvarez called 'A Poet's Epitaph' published in The Observer on 17 February. The article simply stated that Plath had 'died suddenly' and like many others, it was at a later date that the Fosters discovered that Plath's death was due to suicide. The article included a photograph of Plath with her daughter Frieda and four poems, all written in the last months of Plath's life; 'Edge', 'The Fearful', 'Kindness', and 'Contusion'. During Plath's time in Devon, she told very few people that she was a poet. The Fosters did not know that she wrote her own poetry, but were aware of Hughes' increasing profile as a literary figure. In the months of September and October when Plath was writing the bulk of her Ariel poems, she would meet her Devon friends and neighbours for afternoon tea or dinner, and many had no idea what she was doing in those early, blue hours. For example, on 30 September when Plath invited the Fosters for tea at 3.30 pm, she had that morning written and completed 'A Birthday Present'. On 2 December, when they met for tea again at 3.30 pm, she had started the first draft of 'Sheep in Fog' (although this would not be completed until 28 January, 1963 in London). Soon after learning of Plath's death in 1963, Gilbert Foster, while at Court Green, wrote his own elegy to Plath. Short, but beautifully haunting and melancholic, I find this one of the most moving pieces written in remembrance. Capturing the emptiness of her once-full house and the green now standing vacant, the echoes of the childrens' play seems quite spectral and poignant. A house which awaited reopening in spring, now stands without purpose. The overwhelming mood of this poem is silence – the empty house, the shabby green, the abandoned motte, and the curious door bell of Court Green that 'giggled' and jangled, now standing quiet. The Big Freeze of 1962-63 brought many parts of Devon to a halt and reflecting back on Plath's death, Foster opens his poem with the stark words, 'this is a season for dying.' It was, and as Alvarez ended his epitaph, the loss to literature was inestimable. Acknowledgements: with kind thanks to Marian Foster for permission to reproduce this poem and the image of Gilbert Foster taken in Galway, Ireland in 1956. Click here for more information about Gilbert Foster's life and poetry. 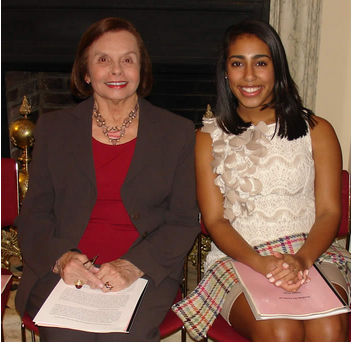 The following is a guest blog post by the bright, talented, young Sylvia Plath scholar Amanda Ferrara, who has been fortunate enough to attend both Smith College and Indiana University and work closely with the two richest Sylvia Plath archives in the world. My path to becoming a Plath scholar has been one of twists and turns. I've been lucky to work with Sylvia Plath's materials in both proprietary repositories, Smith College's Mortimer Rare Book Room and Indiana University's Lilly Library. A native of Western Massachusetts, I aspired to being a "Smithie" from a young age, frequently heading to Northampton with friends as a reprieve from our less exciting towns in the Valley. I was accepted to, and began attending, the all women's college in 2009, and quickly picked up on the legacy of famous graduates discussed by other students. I already knew of Julia Child, but of the other popular alumnae, it took some time for me to learn their stories. Sylvia Plath was just another name in the bucket, a poet and a writer, yes, but at that stage in my life, she was another amorphous representation of the College's tangle in history. My age attributed to this, but struggling with my academic direction was also the cause; my major and future were unclear to me and left me in an uneasy state. I liked reading, organizing, and libraries, but what jobs could be tailored to this? Where would a degree get me with these skills? Little did I know, the archives would soon be my answer. 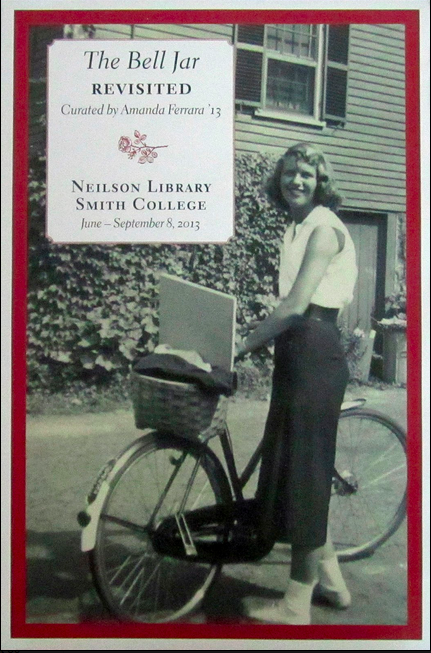 I got to know Smith's Plath collection in an archives based class I took with Karen Kukil my sophomore year. The College offered a concentration in the archives and on a whim one January I decided to enroll. Learning about the field and having hands on experience in the Five College repositories gave me a great feeling of relief and satisfaction. Though my job would involve instruction and "medical" intervention of materials, it wasn't a professor or doctor I aspired to be, it was an archivist. Karen tasked us students with transcribing a letter for an upcoming project, however in my excitement of finding the place I loved to be, I asked, instead, for three. Sylvia Plath's story, mostly her work and contributions, impressed me. During the next few years I immersed myself in special collections and archives, securing myself a position at the Mortimer Rare Book Room assisting the professional staff in anyway I could. My enthusiasm paid off: I was recommended to alumna, Judith Glazer-Raymo ('53), to present Plath's poetry at The Grolier Club's annual poetry event. I returned to Plath's work and history on many occasions throughout the rest of my time at Smith College, individually, as well as with other scholars in the Northeast in various presentations and exhibitions. As my time at Smith came to a close in 2013, I knew I wanted to continue my studies in the archives. I was accepted to the Master of Library Science graduate program at Indiana University, Bloomington to earn my MLS with a specialization in Archives and Records Management. Being accepted to a graduate school was a thrilling in and of itself, but it came with it's own promising situation: more Plath. While Smith has much of her later works (poems, correspondence, photographs), IU possesses materials from the duration of her life, the bulk of which are from 1932-1955. Before arriving on the IU campus, I made a point to get in touch with Lilly Library Director, Joel Silver, and Manuscripts Curator, Cherry Williams. Admittedly, I was more excited about the prospect of my coming than they were! But thankfully after my first (second, and third) trips to the Lilly, they got to know me beyond the typical researcher. Being from Massachusetts originally, the distance between the two states has not been lost on me. I recognize the privilege I have by being so close to the Lilly's Plath manuscripts, and have made myself available as a proxy researcher to contacts like Judith Glazer-Raymo and Amanda Golden. Paralleling my time at Smith, I took archives/special collections classes at the Lilly, Manuscripts and Processing Manuscript Collections, which lead me to find a position as a Manuscripts Assistant for the Manuscripts Archivist, Craig Simpson. Craig asked me my interests when I was hired, and the work he had planned worked out perfectly with my interests. Many Indiana University repositories follow Greene and Meissner's "More Product, Less Process" (MPLP) (2005) in order to make collections available to researchers in a more timely manner. Though this practice is based in accessibility, the downside is that small details of collections are absent until an archivist can return to them at a later date (well, let's be real: interns and students are typically the ones returning!). This is the case with collections of materials in all repositories that employ MPLP, the Plath manuscript (mss) included. Some of my first projects at the Lilly involved me updating Plath descriptions and inventories for mss III, IV, V, IX, X, and XI (reference Guide to the Plath Materials for more information). Plath mss III allows researchers privy access to the artistic side of the poet we so frequently hear about. Her watercolors, and pastels remind me of the color focused juvenilia "Midsummer Mobile" in hue and style: "With orange scallops tangled in wet hair, / Fresh from the mellow palette of Matisse," while her drawings are more serious. Snapshots of her younger years are in Plath mss 5 and Plath mss 10. Her illustrated manuscripts and contributions to the Alice L. Phillips Junior High School's literary supplement, The Phillipian, show her talent, or maybe determination?, at a young age. Mrs. Aurelia Plath is not forgotten of course, she being the reason the Plath collection is at the Lilly altogether. Plath mss 9 features correspondence between Mrs. Plath and Olive Clifford Eaton (a neighbor in Winthrop, MA), Mary Alice Ericson (Olive Eaton's daughter), and Margery DeLerno (Olive Eaton's daughter), an interesting look into where Plath came from. There are many more gems for researchers to search for and find, in the now unhidden Plath manuscript collections at the Lilly Library. Personally, I have enjoyed the process of returning to these manuscripts due to my original curiosity of Plath related topics. I think many archivists fear that our work in processing collections will go unnoticed and unused by the public, but my experience with the Plath mss at the Lilly has given me hope that this is not the case. The collections are appreciated at both institutions, and I am thankful my work is a part of that collective. There is still much work to be done, not only with the Plath collections, but with all archival materials, and I hope I can be a part of that in whatever small or large way I am afforded in the future. If you would like to contact Amanda regarding Plath research at Indiana University's Lilly Library, please contact her via email. All links accessed 28 April 2015. The following is a guest post, the second in a series of three, by Annette Stevens. Hello Andrew, thank you for agreeing to this interview. When growing up, did you ever think you would want to be a writer? Yes I always wanted to write, since a child. I wrote stories and made little newspapers full of local news. Do you have any other experience-such as in journalism? After an English degree at King's, London, I did a year MA in journalism at City University in London. Then I got a job in magazines and then worked on staff for a few years before I went freelance, writing for everything from the Face to the Sunday Times to the Independent to the Mail. My first book was Beautiful Shadow: A Life of Patricia Highsmith – and since then I've written biographies of Harold Robbins, the survivors of the Titanic, Mad Girl's Love Song: Sylvia Plath and Life Before Ted and a novel, The Lying Tongue. Could you please take us through your average working day? It depends what kind of day it is – whether it's writing, interviewing, researching or reading. All this depends on which stage I am at and what I am writing. I also still write journalism so I could be interviewing a writer or an actor. If I am writing I like to do about 1,000 words a day – all depending on the deadline. 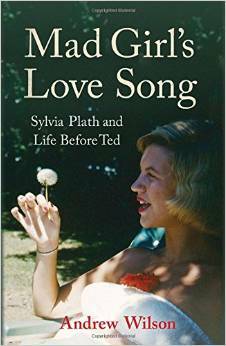 Did anything specifically give you the idea to write a book about Sylvia Plath, prior to life with Ted Hughes? Basically very little had been done on this. Most books rushed the early life to get to the meeting of Sylvia and Ted. And I also came across a huge amount of new, unpublished material and tracked down friends and lovers who had never spoken before. How did you begin to research the fundamental basis of the manuscript? I spent a couple of months in America at the two big Plath archives – one at Smith College and the other in Bloomington, Indiana. At the same time I started to track down people who had known Plath. "Mad Girl's Love Song" – after which I named the book. Did you come across any surprising material about her? A great deal. I like to think I banished the myth of Sylvia as a victim. She was much more knowing and intelligent and, at times, manipulative than that. Also her mental illness started at a young she but went undiagnosed. At any time, did your impression/initial judgment of Sylvia change? It changed a lot – often several times during the course of one day. That is the difficult aspect of biography – you have to try and represent a person in all their complexity, with often contradictory impulses and desires. 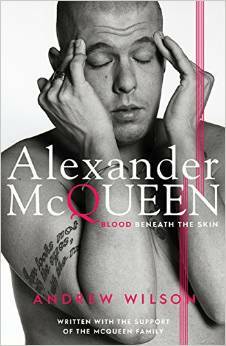 This week you have a new book out, about Alexander McQueen. Congratulations! What was the inspiration behind the book? I started work on a year before the announcement of the V&A's show Savage Beauty which opens in March. I had always been intrigued by him as a designer and stager of shows that became art installations. I suspected his story would be a complex one which many layers and secrets, hopefully which I've teased out. Again I hope to have represented him in all his complexity. Have you ever worn any of his designs? Only the odd T-shirt – some of his clothes are out of my price range! But that is not to say I don't admire them. Like Sylvia Plath, would you subscribe to the view that he was possibly a tortured artist? Definitely. He was driven by a dark vision. How would describe McQueen in five words? Vulnerable, insecure, gifted, visionary, honest. Two years and this was almost solid work. So I didn't do much other work during this time. Are there any other books you have planned, to do with designers -such as Chanel? Follow your instincts, ask questions, work hard. Don't be put off. And one random question: do you like pizza?